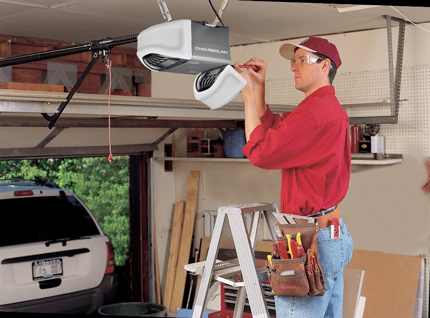 Do you struggle with your garage door? Do you want to get a new garage door? At Pro Garage Services, we offer high-quality customer service and garage door services. Our craftsmanship is superb and our technicians are craftsmen first, which means they are able to meet your garage door service needs. Each of our technicians are skilled in everything that has to do with garage doors. As a small business, we are willing to go above and beyond to ensure that you are satisfied with our services. We are able to provide the best answers to all of your garage door needs. Are you looking for a garage door installation or a repair? Do you want to know more about garage screen doors? We’ll take the time to go over all of the information that you need. We are committed to providing the best customer service, craftsmanship, and top-quality brands to you. Do you have an emergency or a busy schedule? We offer same day service and emergency services. In addition, we show up when we set up an appointment with you. At Pro Garage Services, each of our team members are experienced, professional technicians who will meet your needs. Reach out to us for any garage door services. Our customers are our main priority. We offer custom garage doors. We strive to care for your choices and breathe life into your garage door dreams. We provide our services 24/7 and can make appointments the same day. A one stop destination for finding lower prices and high-quality brands. There is a lifetime warranty. We offer discounts; check out our coupons. Emergency? We can help! We’re available 24/7. Have questions and want to learn more? Contact us! Pro Garage Services is the Top Rated Local® garage door service company in the Greater Phoenix Area. Our customers deserve satisfaction when it comes to garage door services. We make each of our customers a top priority, whether he or she is looking to have a new garage door installed or his or her old one needs to be repaired. We offer the highest quality products that will ensure your garage door will run smoothly. No matter if your garage door is 10 years old or two we ensure that our garage doors work effortlessly and have longevity. We are a locally owned and operated garage service company. We allow you to benefit from our services because we work around your schedule and can fix your garage door or provide maintenance on it 24/7. If something happens in the middle of the night, just call us and we’ll provide garage door maintenance and repair needs. To learn more about our garage door company, read our 100 percent five-star reviews on Yelp. We ensure that our customers are happy, and it shows in our Yelp reviews. In addition, we were voted the Premier Garage Door Service in the Greater Phoenix Area. Our promise to you: to offer satisfaction with our services, provide excellent customer service, reasonable prices, and the best garage door service in the Greater Phoenix Area. Keep in mind what we can offer you that other garage door companies cannot. We can offer our services day or night, our team is ready to answer any questions or concerns, and our technicians are able to fix your broken garage door or install a new garage door efficiently. We know that life is filled with emergencies and we strive to make this emergency as easy as possible for you. Emergencies happen, and we are here to solve your problem with our garage door services. We are able to fix everything from garage door springs to broken motors. We aim to be your one-stop-shop for all of your garage door repair and installation needs in the Greater Phoenix area.